Must-have titles and treasured classics! 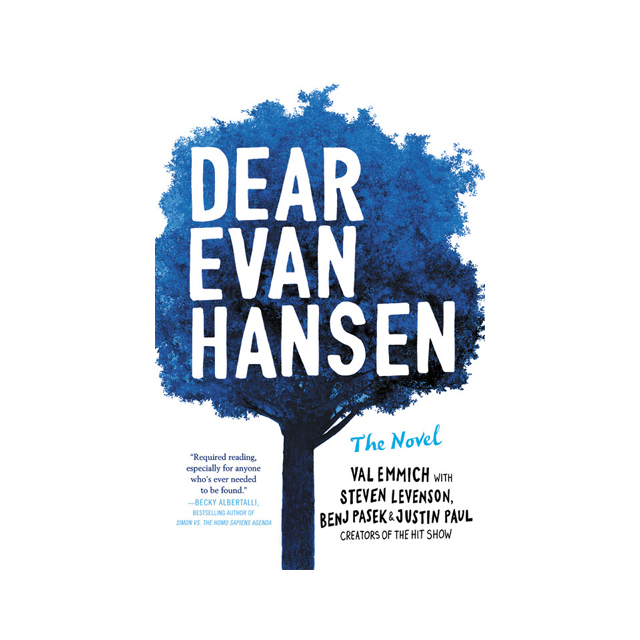 When a letter that was never meant to be seen by anyone draws high school senior Evan Hansen into a family's grief over the loss of their son, he is given the chance of a lifetime: to belong. He just has to stick to a lie he never meant to tell, that the notoriously troubled Connor Murphy was his secret best friend. Suddenly, Evan isn't invisible anymore. And Connor Murphy's parents, with their beautiful home on the other side of town, have taken him in like he was their own, desperate to know more about their enigmatic son from his closest friend. As Evan gets pulled deeper into their swirl of anger, regret, and confusion, he knows that what he's doing can't be right, but if he's helping people, how wrong can it be? No longer tangled in his once-incapacitating anxiety, this new Evan has a purpose. And a website. He's confident. He's a viral phenomenon. Every day is amazing. Until everything is in danger of unraveling and he comes face to face with his greatest obstacle: himself.